Is there something so “in our faces” going on that we don’t recognize it for what it is, plus apparent calculated and long-range motives? What I’m talking about is the ubiquitous presence of aluminum, aka aluminium. Aluminum is a great thermal and electrical conductor, which probably is why it’s being used even for surreptitious reasons, I suspect, such as conductivity to change the atmosphere with the intent of fashioning humans into what eventually will become transhumans—a new breed—based upon transhumanism science—a cross between technology and Homo sapiens. Does that sound “off the wall”? Well, why is aluminum so prolific in the new atmosphere being created by weather geoengineering, aka “chemtrails,” ionospheric heaters aka HAARPs, and in vaccines given to infants within 24 hours of birth? There are a few dots to be connected, which I’m going to try to do with this series of three reports. Speaking of vaccines and very young children, I delved into the aluminum content of vaccines creating Excel spreadsheets and other tools to come up with the following information about the various formulations of aluminum that are included in vaccine manufacture. Number 2: The above vaccines are given starting within 24 hours of birth (Hepatitis B) and at 2, 4 and 6 month “well baby” doctor visits. Here’s the vaccine schedule up to 18 months of age. However, in doing my analysis, I created and took my Excel spreadsheets through to 18 years of age to include all vaccines containing any form of aluminum, e.g., Al hydroxide, Al phosphate, amorphous aluminum hydroxyphosphate, amorphous aluminum hydroxyphosphate sulfate and Al salts, which I found in the official vaccine package inserts vaccine manufacturers must provide and are posted online. Section 11 of every vaccine package insert indicates the quantity of aluminum, plus other ingredients, in vaccine formulations. Since there are numerous brand vaccines for DTaP, IPV, Hep A, Hep B, HPV and Tdap, I had to devise a comprehensive method for aluminum calculation that would be as inclusive as possible considering infants may receive different name brand vaccines with differing amounts of Al, depending upon the administering physician’s choice. What I came up with was this: Calculating the amount of total aluminum a child would receive until 18 years of age if he/she received the highest aluminum content vaccine brand in DTaP, IPV, Hep A, Hep B, HPV, and Tdap vaccines to be given, plus including all those vaccines where there was only one vaccine brand to be administered. I ran the very same calculation if a child received the lowest aluminum content in the above 6 vaccine choices, plus included all the vaccines that were the only brand available. The numbers I got are…. I’ll leave that up to you to describe what we should call them. “Shocking,” for starters! From day one of life until 18 years of age, a child receiving vaccines containing the highest amounts of Al, but for only 1 vaccine brand in each of the above six groups of multiple brand vaccines, I got 20,850 mcg or 20.85 mg of aluminum. From day one of life until 18 years of age, a child receiving vaccines containing the lowest amounts of Al, but for only 1 vaccine brand in each of the above six groups of multiple brand vaccines, I got 10,940 mcg or 10.94 mg of aluminum. No matter how you slice or dice the above numbers, 20.85 mg of Al versus 10.94 mg of Al portends health problems! The last two generations of U.S. kids just may become early dementia patients, in my opinion. Those amounts of Al, which many humans cannot detoxify due to certain mitochondrial issues, are capable of doing some serious neurological damage, especially at a most vulnerable time: Right out of the womb to 18 months of age when all the ‘well baby visit vaccines’ filled with Al are administered—a time when baby’s brain and immune system, plus other organs, are not fully developed and baby can’t detoxify the chemical and metallic pollution being hypodermically-injected into baby’s body! That should be considered child abuse, not preventive ‘healthcare’ to establish “community immunity”! There is a history that has been deeply buried by major international media. As it documents a phenomenal explosion of instances of child autism in the last decade in China, parallel with the adoption of WHO-recommended infant vaccination programs, it provides a chilling indication of how corrupt pharmaceutical majors and institutions such as the World Health Organization combine on an agenda that has little to do with improving the health of human beings. For those of you interested in my longer discussion of these issues in the context of an agenda of eugenics advanced by influential circles internationally, I strongly recommend my best-selling book, Seeds of Destruction: The Hidden Agenda of Genetic Manipulation. Society is witnessing some of the neurological damage early on in life, I contend, in diagnoses such as: ADD, ADHD, Autism and other neurological and/or central nervous system anomalies, e.g., ticks, seizures and epilepsy. Authorities dealt with lead paint issues, but we still have neurological problems in kids. Aluminum and mercury are neurological toxins! Both are vaccine ingredients given to children! However, in my analysis of Al in children’s vaccines, I did not include the prenatal vaccines a fetus’s mother receives during pregnancy—something rather ‘recent’ in medicine and not fully vetted via double-blind studies, from what I know. The amount of Al which crosses the placenta would not be easy to guestimate. I also did not include the HepA/HepB Twinrix® combination vaccine with 0.45 mg of aluminum phosphate and aluminum hydroxide, since it is not mandated, but optional, and all children may not receive Twinrix®. Is there more to vaccines than “meets the eye,” including why there’s a draconian push to vaccinate every human being from birth to death? Enter the era of DNA vaccines, which the MMR probably was one of the first such vaccines, since none are supposed to be approved for human use, only veterinary use! When did the combination MMR vaccine first get introduced? In 1971 and adverse reactions started to manifest. In the 1980s vaccine manufacturers threatened to stop producing vaccines because of the liabilities they were incurring, so Congress gave them The National Childhood Vaccine Injury Act (NCVIA) of 1986 (42 U.S.C. 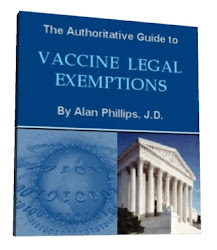 §§ 300aa-1 to 300aa-34), an act exonerating vaccine makers from any legal or financial liability for their harmful vaccines that was signed into law November 14, 1986. Vaccine makers have gone hog-wild introducing all types of vaccines ever since with close to 300 new vaccines currently in production pipelines. What is a DNA vaccine? Note an antigen is produced not immunity. Furthermore, what species’ DNA is genetically engineered and placed into vaccines that are inoculated into children and adults? Immunity only can be obtained by natural contraction, i.e., healing from a contracted infectious disease and the immune system establishes life-long natural immunity as a result with females capable of passing on immunities to their infants at birth. 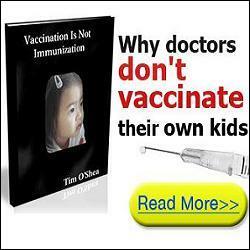 That does not happen with vaccines; thus the reason for booster shots! Coincidentally, was Dr. Andrew Wakefield professionally eviscerated because he suggested single valent vaccines? Did Dr. Wakefield foresee what DNA vaccines could do to harm infants and children? Did his co-authored paper have to be retracted and professionally neutralized because it was a real threat to the biotech industry that was gearing up to alter humans, their DNA and the current push toward transhumanism using vaccines and their ‘magic needles’? That somehow harks back to flashbacks of World War II era Nazi research to create the perfect Aryan race! Furthermore, is there an aspect to the vaccine hidden agenda that may be racially or ethnically motivated? since CDC epidemiologist and whistleblower William Thompson, PhD, came forth to divulge the MMR vaccine was responsible for causing autism in young black males under three years of age, but the CDC directed Thompson and his co-researchers not to include that pertinent material in their 2004 report on autism and vaccines. Those CDC researchers physically destroyed the evidence. However, Dr. Thompson kept his files, which he turned over to U.S. Congressman Bill Posey of Florida, who has asked for an investigation several years now, but none ever has taken place. WHY? Can it be collusion to cover up the science fraud that’s pervasive at the CDC and FDA? F. R. Jenkins, Esq., Meridian 361 International Law Group, PLLC, www.meridian361.com, [email protected], Tel. + 1 866-338-7087. Paul Bekman, Esq., Salsbury, Clement, Bekman, Marder & Adkins, www.scbmalaw.com, [email protected], Tel.+ 1 410-215-9289. Why such a concerted legal action, as undertaken above, has not been filed regarding the massive vaccine experiment now going on in the USA for decades, plus globally at the behest of the Gates Foundation, is beyond belief! Pandemics will become the special means to implement the final phase of the vaccine experiment, I contend. Why? During a pandemic all will be vaccinated with chipped vaccines and become totally controllable to those who want control of the human population. There is no other reason for such a mandated push for injecting totally toxic hazmat materials into babies, infants, toddlers, teens, adults and senior citizens. Another adjuvant is squalene, a shark liver oil emulsion, which is not handled efficiently by the human organism, and is thought to have been a main contributing factor with vaccines given to military personnel going to the first Gulf War in the Middle East and which probably contributed to “Gulf War Syndrome” so many veterans suffer with. Squalene also has been attributed to causing autoimmune diseases! Back in November of 2015 the “FDA approves first seasonal influenza vaccine containing an adjuvant” MF59 containing squalene. Fluad, which is manufactured using an egg-based process, is formulated with the adjuvant MF59, an oil-in-water emulsion of squalene oil. I can’t tell you how many stories I’ve heard from nurses about senior citizens given flu shots in nursing homes and other managed care facilities, only to die shortly thereafter! Peter Doshi, PhD, a former researcher at Johns Hopkins Baltimore, released the paper “Influenza: marketing vaccine by marketing disease” published in the British Medical Journal [BMJ 2013;346:f3037]. I find it ironic that Dr. Doshi says, “The vaccine may be less beneficial and less safe than has been claimed, and the threat of influenza seems to be overstated.” Another reason to question the incessant push to receive influenza vaccines is it’s been known and proven they really don’t work as promoted. According to a study, the flu vaccine was about 9 percent effective in protecting seniors against the 2012-2013 most virulent influenza strain! There has to be another reason for pushing aluminum-containing vaccines! I’ll start connecting those dots in Part 2.